Home / abra / Asia Brewery Inc. / beer / brotherhood / Colt45 / Filipino / Greg Anonas / Hard Rock Cafe / philippines / Raymund Marasigan / Sanib Pwersa / The New Colt45 - Sanib Pwersa na! The New Colt45 - Sanib Pwersa na! Everyone was greeted with a fist bump, no hand shake, just two closed fists bumping onto each other. They say it's the modern-day handshake, but they wanna make it so Pinoy that it'll be part of our new norms. And yeah, they wanna call it "Sanib Pwersa." Just recently, Colt 45 showcased it's new look, boasting with its reformulated taste fit for Pinoy drinkers who are just so discriminating when it comes to tasting. Held at Hard Rock Cafe in Glorietta, Makati, guests were introduced to the brand's new logo, new bottle and new flavor. And since they are carrying their newest tagline too, "brewed for brotherhood", Asia Brewery Inc.'s (ABI) Marketing Manager for Alcoholic Beverages Greg Anonas also introduced to the crowd their newest "bros" or "brads", Filipino hip hop sensation Abra and Filipino rock icon Raymund Marasigan. 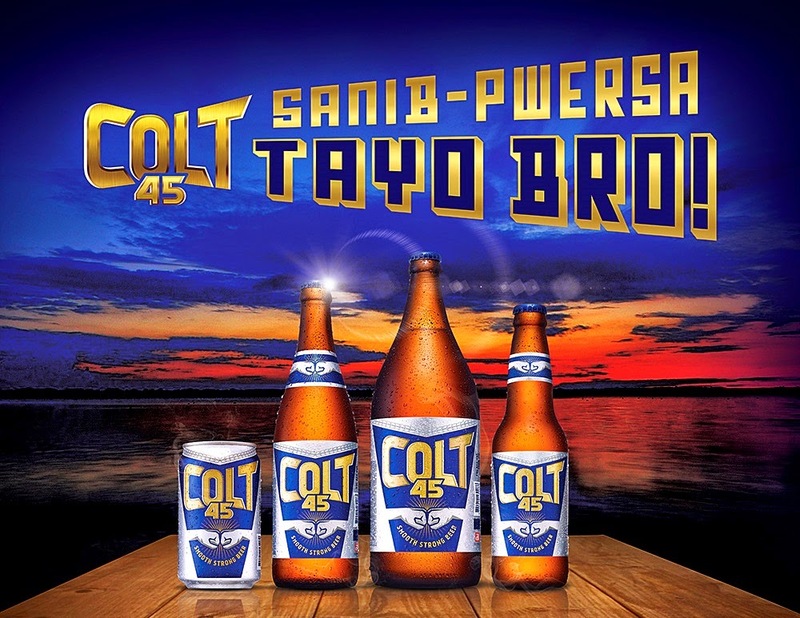 “The new Colt 45 was brewed with brotherhood in mind from concept to conception,” added Anonas. "Embracing the idea of celebrating brotherhood allowed us to revolutionize the brand’s flavor to optimize sharing, place the fist-bump on our labels to symbolize brotherhood and work with great brand ambassadors to help make the spirit of "Sanib Pwersa" come to life," he continued. On the same night, we also got a chance to be the first people to see the upcoming music video of "Sanib Pwersa" by Abra and Raymund Marasigan. Of course, we watched the music video with a bottle of the new Colt45 in our hands. I got some scoop about the song "Sanib Pwersa", Abra and Raymund were apart when they made the song, meaning, they didn't know what the other is writing about until they met in the recording studio to sing it and make everything fit! Now, that's what I call genius! The all-new Colt 45 is now available in 7-11, Padi’s Point, major supermarkets, and sari-sari stories across the country for a suggested retail price of Php21.00 per bottle. Congratulations, Colt45! I love the new flavor! It tastes better the competing "horsy" brand, promise! Drink moderately, guys!